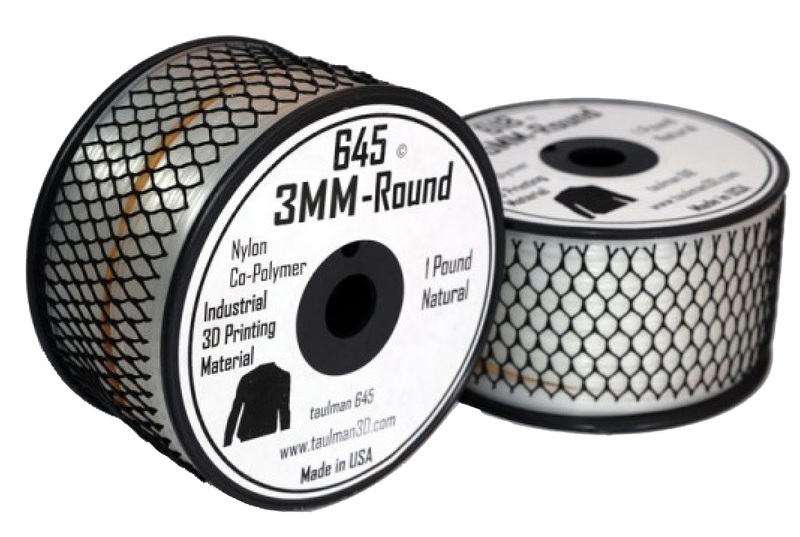 Taulman 645 Nylon is specifically designed for 3D Printing applications where excellent surface bonding, reduced water absorption, tear resistance and dye absorption are combined in an easy-to-print line. Taulman 645 Prints as a bright natural to white with a translucent surface. It's possible to add colour with most common clothing dyes. We currently sell Taulman 645 Nylon filament in spools of 450 grams. Taulman 645 Nylon is machinable with similar settings and cutting speeds as used in Cast Nylon blocks. The printing speed is printer dependent. Printing with a speed of 28mm/s to 34mm/s in general perform well. Log in to post a review.